Our mission as a natural and organic foods consumer cooperative, is to provide the residents of Isla Vista and neighboring communities of Santa Barbara County with reasonably priced foods, products and services that promote a healthier lifestyle and environment. The Isla Vista Food Cooperative is an economic alternative founded on cooperative business principles and values that are practiced in our operating as well as through our governance policies. Our vision is a community engaged in the cooperative principles and values of social, economic, and environmental responsibility. 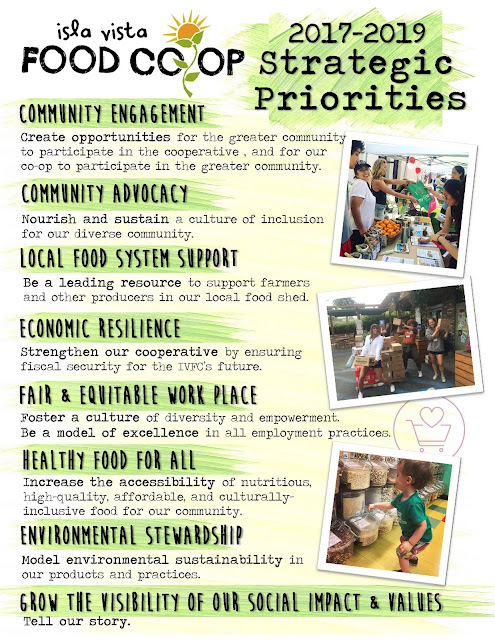 The Isla Vista Food Cooperative will be the hub of this cooperative community, empowering its members by providing them with products, services, and information to sustain it. 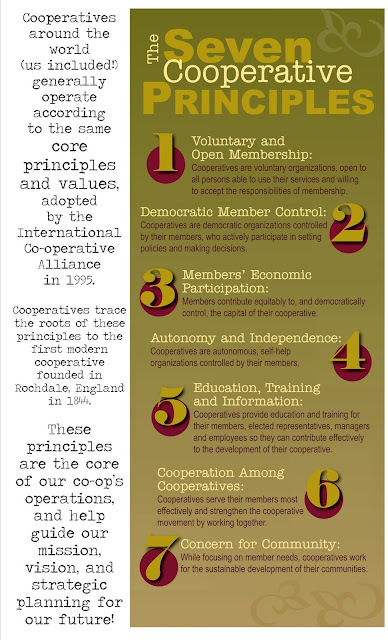 Our Co-op will network with organizations that are in alignment with our goals and ethics. It will succeed financially allowing is to provide our employees with a fair wage and benefits, as well as providing the means for outreach projects to the community defining our social and economic ideals. We envision a thriving cooperative community that by practicing the values of honesty, openness, and caring for others, will assist other communities in establishing their cooperative identity. Please click here to download a complete copy of our most recently approved Bylaws. Please click here to download our original Articles of Incorporation (ca 1973). Please click here to download our most recent Articles of Incorporation (ca 1980).